It’s important to focus on correcting a roof when it is prone to poor drainage. 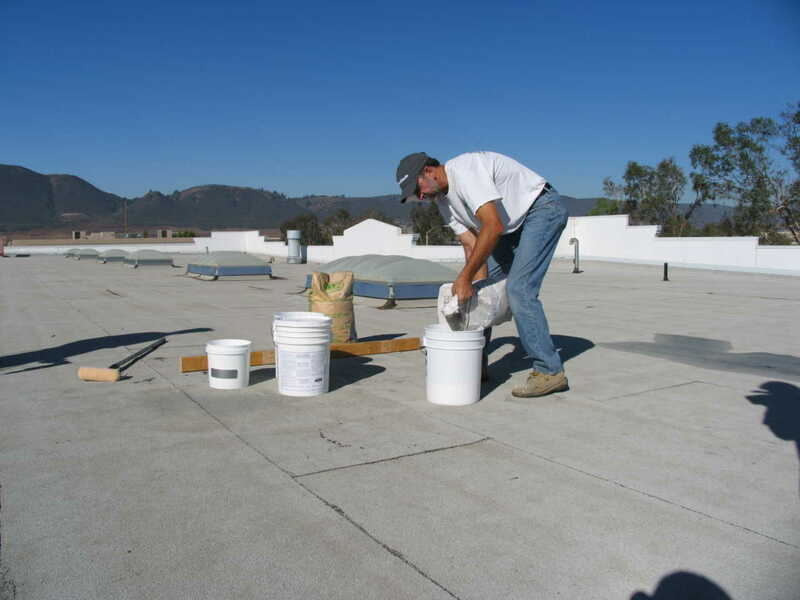 A way to fill low spots and achieve positive slope by by applying roof leveling compounds. You should know the performance requirements for the compound to ensure you don’t encounter any issues. One of the first performance requirements is the overall weight, combined with compressive strength. This is tested by the ASTM Standard C150-72. It ensures that cement contains a specific number of ingredients, and with the right blend so it is not too heavy. Particularly with a roof leveling compound, weight is of the utmost importance because you don’t want to add more to the existing structure than what is necessary. Another performance requirement is for that of abrasion resistance. It ensures that the leveling compound is resistant to being worn away by plastic materials. It is measured in terms of volume loss using two testing methods – loose abrasive and bonded abrasive tape. The testing follows the ASTM Standard D1242. The compound must also be able to go through freeze-thaw cycling. This essentially means that the compound will be able to undergo freezing cold temperatures and then be able to thaw effectively without creating any kind of damage. The testing for this is through ASTM Standard C67. The testing covers various aspects of the freeze-thaw cycle, including the initial rate of absorption as well as length change. The static coefficient of friction on the leveling compound is also explored, which identifies the ratio between the force necessary to move the compound over the roof and the pressure of two surfaces. This is particularly tested using ASTM Standard Test Method D635, which also focuses on the rate of burning. These tests will look at the burning characteristics, the level of deterioration, as well as how factors such as pigment, density, and thickness play into the scenario. The bond strength is tested with ASTM Standard C297. This is a core-to-facing bond integrity using a sandwich panel. The goal is to determine the permit load transfer between the core and the facings. It will be able to determine the overall quality of the bond. Knowing that this performance requirement is in place on a roof leveling compound should provide peace of mind that it’s going to be cohesive. Otherwise, you run the risk of the compound lifting up over time. The test methods simulate fire exposure to the exterior of a roof covering, or in this case, the leveling compound. The surface spread of the flame is measured as well as the compound’s ability to resist fire penetration. Test methods also determine if flying burning material is developed, which is also known as flying brands. These tests will provide a basis for determining if the compound has the fire resistant characteristics, which ensures that the compound will have similar characteristics to what the roof has in place. If you purchase a leveling compound for your roof, it’s important that it meets the various performance requirements. Otherwise, you run the risk of the compound being ineffective over time. Once the compound is applied, you want to make sure it’s capable of doing the job sufficiently. Learn more about roof leveling compounds by contacting RoofSlope today.